We are a group of loving and dedicated individuals who work together to save as many deserving animals as we can. We work tirelessly to assure the animals are well fed, socialized, are healthy and then find them the wonderful home they only dreamed of in the shelter or starving on the streets. We are a group of dedicated rescuers helping the dogs in the San Antonio area. We rescue/rehabilitate/socialize and fully vet our dogs and find them wonderful homes to live the rest of their lives in! Adoption application required. 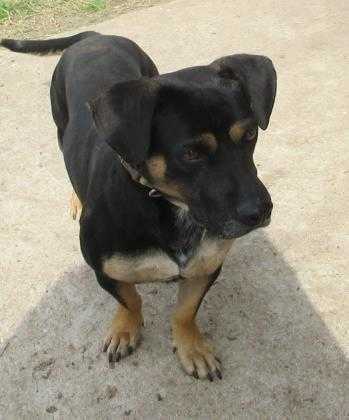 Adoption Fee is $200-350 local (Local is state of Texas) $500-800 for out of state adoptions (includes transport fees).. The higher prices for Purebred and/or highly desirable pets. Adoption application, adoption contract, return/foster agreement if dog doesn't work out in home. We work hard to place dogs in the right homes, if the adoption does not work out and we have room to take the dog back into the rescue, we will. However, the sheer number of needy animals in Bexar county TX +usually means we become full quickly after the dog is adopted. So, in those cases we will post the animal, help the adopter screen applicants and help facilitate finding another home for the dog.